We catch-up with Mimi Thigpen, CEO of North Plains to discover her view of the shortage of women in senior positions. Why do you think there is a shortage of women in tech companies generally and in senior positions more specifically? It starts with not enough being done during the primary and secondary education years to make technology, engineering, and science exciting and fun industries to pursue. Later on, many have not had the mentorship and encouragement they need to navigate through the business maze. As for senior roles, in previous years a lot of potential female CEOs have found the trade-offs they have to make are not worth it. As more companies offer more flexible work schedules, I trust we will see this changing because if not we will be missing out on a tremendous amount of senior level talent. Through 2014 a slew of tech companies have released their fairly shocking diversity figures - do you think these headlines will have any impact? Every company, regardless of industry or size, really needs to pursue diversity in every characteristic of their business because we are all seeking to serve and engage a diverse population. Having diversity within our own four walls means we have a much higher chance of being relevant to our audiences. So not intentionally seeking and employing female and other diverse talent is a missed opportunity that can impact on a company’s ultimate success. Why do we need more women in senior positions? It has been highly publicized that the companies with the best performance have senior and board level diversity that is representative of the holistic company. This is diversity based not just gender, but culture, background and various other demographics. It’s that blend of different attributes that create great teams. Women bring a very balanced and collaborative way of working, as well as natural multi-tasking skills, to the C-Suite and boardroom and those attributes can complement other leadership styles. In what ways do you think being a woman helped and hindered your path to becoming CEO? When I first started my career back in the Eighties, I was one of very few women in sales for a technology company, but I don’t think that hindered me, in fact, the experience and opportunities I was given helped to propel my career. I trust that once I got to senior level roles, it was irrelevant whether or not I was a woman. The hiring decision for me and others should be based on experience and courage to do the job. Our biggest challenge is have we prepared and afforded women experiences so they are ready to assume the senior level roles. 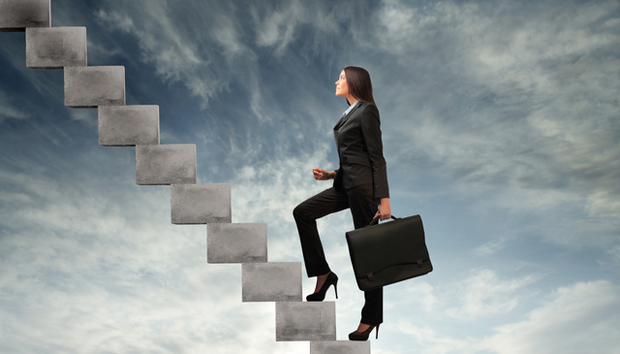 What proactive steps have you been taking to help women succeed into senior and CEO positions? I’m passionate about mentoring the next generation, both men and women, in the workforce or in search, as well as being involved and at college level. For instance, I’m trying to show our future female entrepreneurs and managers that you CAN have it all: maybe not all at the same time, but ultimately it is possible to have a rewarding work and home life, to feel fulfilled and be successful. I think it’s also important to demonstrate by example: for instance, here at North Plains, we have a female CEO, a female CMO and a female CFO. What was the best piece of career advice you were ever given? To take a job that I did not think I was ready to take. People can often see our potential before we see it ourselves. I was encouraged to take that role – which was particularly challenging because I had to define my role once I was in the job – and it was one of the best things I did. I have been very fortunate to have mentors and coaches throughout my career journey. What advice would you now give to women who have aspirations to become CEO? I would encourage them to think outside the box and – in the same way I did – take paths they would not normally pursue. For instance, taking on special projects outside their functional role broadens their experience and increases their visibility. It’s very hard for people to demonstrate their true potential if they stay within the comfort zones of their existing positions. Has anything consistently surprised you through your various roles in the C-Suite? I would highlight three areas. First, even though we are always connected and there is lots of communication, it still may not be meaningful and that needs to be addressed so you are making a positive impact for the business. Second, personal agendas can still get in the way, especially if the business goals are not clear and aligned. Third, some people’s risk averse nature or perhaps just lack of confidence, can stifle innovation and progress. Fortunately, at North Plains I’m surrounded by a vibrant, open-minded and ambitious team with none of those barriers. As CEO of a global organisation and with offices in Japan, Europe and North America, have you received a different reaction in different parts of the world? I’d say that we are in such a globalised environment that gender at CEO level is not something that matters. Plus, we have strong in-country general managers at North Plains and that makes a big difference in how a CEOs role is perceived. Is there anything else you would like to share with IDG Connect’s international audience? Just my belief that it’s important to never give up and find what you are passionate about doing. Ask for help from those who’ve travelled your path before and finally, make a difference, because each of us can and should, especially for the next generation.